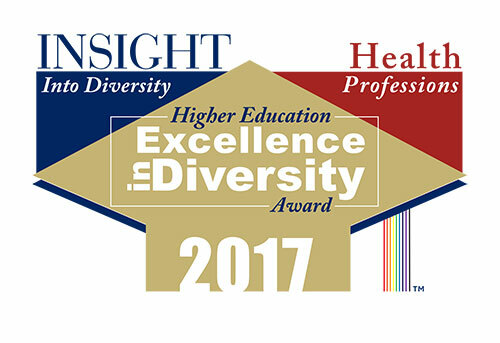 The Purdue University College of Veterinary Medicine has been named as a recipient of the 2017 Health Professions Higher Education Excellence in Diversity (HEED) Award from INSIGHT Into Diversity magazine, the oldest and largest diversity-focused publication in higher education. The award is a national honor recognizing U.S. veterinary medical, medical, dental, pharmacy, osteopathic, nursing, and allied health schools that demonstrate an outstanding commitment to diversity and inclusion. As a recipient of the award, the College will be featured, along with 23 other recipients, in the December 2017 issue of INSIGHT Into Diversity magazine. "I am very excited for our College to receive this prestigious award," said Dr. Kauline Cipriani, Purdue Veterinary Medicine director for diversity and inclusion. "This recognition spotlights the tremendous effort that our faculty, staff, and students have put forward in creating a climate and educational setting that truly supports all aspects of diversity and inclusion. It is no small achievement to be one of the first veterinary colleges nationally to receive the Health Professions HEED Award." The INSIGHT Into Diversity HEED Award is open to all colleges and universities across the U.S. Applications cover all aspects of campus diversity and inclusion. One of the goals of the application process is to help institutions of higher education assess their diversity efforts in order to build on their success and improve where necessary. "The Health Professions HEED Award process consists of a comprehensive and rigorous application that includes questions relating to the recruitment and retention of students and employees — and best practices for both — continued leadership support for diversity, and other aspects of campus diversity and inclusion," said Lenore Pearlstein, publisher of INSIGHT Into Diversity magazine. "We take a holistic approach to reviewing each application in deciding who will be named a HEED Award recipient. Our standards are high, and we look for institutions where diversity and inclusion are woven into the work being accomplished every day across their campus." Purdue Veterinary Medicine Dean Willie Reed said the award is a great honor for the College and for Purdue University. "This award makes an important statement about the Purdue University College of Veterinary Medicine being a place that doesn't just talk about diversity and inclusion, but lives it," Dean Reed said. "This recognition identifies us as a model for the commitment, creativity, and effort required for an institution to make measurable progress in being truly welcoming and supportive of everyone. Our College really does value diversity, and this award documents that fact." Purdue Veterinary Medicine is one of only three veterinary colleges in the U.S. to receive the award. The other two veterinary colleges honored are the Texas A&M College of Veterinary Medicine and Biomedical Sciences and The Ohio State University College of Veterinary Medicine.